Police scour the area where the bodies were found. Photo: Mark Zammit Cordina. Joseph Bonnici, who is accused of murdering his mother and sister in Għaxaq last month, faced the court again on Monday as the compilation of evidence against him continued. Following the murder, the accused visited his mother’s house with an aunt after his father, currently serving a prison sentence for murder, grew concerned that nobody was picking up the phone. Three aunts described the accused as a good, hardworking man, who had never given any of them cause for suspicion. One aunt says she was aware that the accused's sister had claimed sexual abuse by her brother, mentioned in a previous hearing, but did not believe them. She said the sister's "personal life" indicated otherwise, before the hearing briefly continued behind closed doors. The aunt painted a dark picture of the accused's mother, describing herself as the mother's "first victim". She said the mother had expressed concern over her husband's release from prison, saying she had become used to living alone. 12.05pm: Back inside, the same aunt is being cross-examined by defence lawyer Franco Debono. The woman says that she doesn’t meet the accused, her nephew, frequently but the two regularly communicate on Facebook. He had even offered to help her in separate court proceedings where she was the victim. She says she had recently spoken to the accused's mother, who said she did not know what she was going to do when her husband, the accused's father, left prison "because she had got used to living alone". The case has been adjourned until Tuesday at 11am. 12pm: The accused's aunt says Angele Bonnici - the accused's sister and one of his victims - had spoken to her about her sexual life some five years ago, and that she had never claimed any sexual affairs with her brother. This is in reference to reports by a police inspector in the last hearing, that Angele had spoken of having been sexually abused by her brother in the past. The aunt says some two years ago, Angele had spoken of trouble with Joseph because he had denied her a favour. The witness says Angele had mentioned sexual abuse as though to strengthen her argument, but the witness says she didn't believe her. "Her personal life indicated otherwise." She is reluctant to continue further in open court. The magistrate orders everyone to leave the courtroom so that the testimony can continue behind closed doors. 11.55am: A third aunt is now testifying. She says she knew the accused's mother in the early days of her marriage: "I was her first victim" she says. The accused's mother, she continues, "caused trouble" between her, her boyfriend, and her own mother. 11.50am: Another aunt, also an Għaxaq resident, now takes the stand. She chooses to testify too. "He is a quiet boy, loved by all of us," she says. "None of us ever had a reason to suspect him." When his mother and sister disappeared they did not think anything was wrong. Neither this witness nor the first could say nothing about the accused’s relationship with his mother and sister. 11.45am: The aunt describes her nephew as a "very good boy". She says he was silent and hardworking and would always greet her on his way past her home. "Would I have gone into the house with him alone if I suspected anything? I would have thought he might have done the same to me." The accused seems moved as his aunt says she never had any reason whatsoever to doubt him. 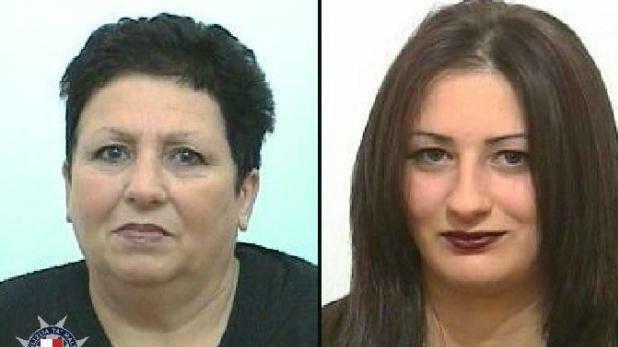 Joseph Bonnici admitted to killing his mother, Maria Lourdes (left), and his sister Angele Bonnici. 11.40am: The accused's aunt says she had received a call from her brother in prison, asking her to go ring the door of the Għaxaq family home, because he had been calling and received no reply. She knocked on the door but nobody answered. Later in the day, she received a call from a police officer at the prison, again asking her to check the home. She said that perhaps the family had gone to the hospital or out elsewhere. Her nephew, the accused, turned up later and asked her to accompany him to enter his mother’s house. He needed to remove a stone slab to enter, and said he didn't want his mother to think he was burgling her. He said he loved his mother, but broke off mid-sentence. 11.35am: The accused's aunt - the sister of his father Paul Bonnici, currently serving his own prison sentence for double murder - is next to the stand. She has chosen to testify even though she was given the option not to, and identifies her nephew in the courtroom. 11.30am: Three more police officers have taken the stand in quick succession. One was tasked with searching for the sledgehammer that the accused used in his sister's murder, which he found after sifting through waste at the Ħal Far Wasteserv plant. 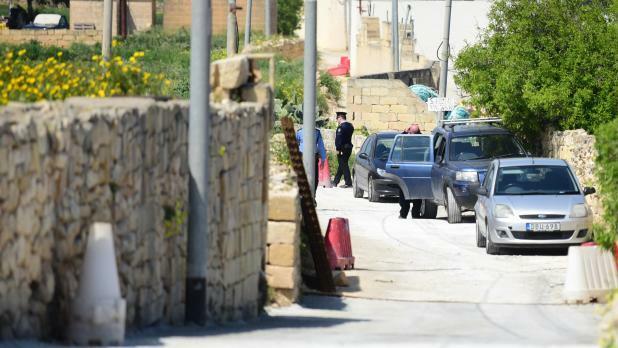 11.25am: The police sergeant says he also accompanied the accused to another field he owned - the one in which the bodies were buried was not his own - and to his Għaxaq home. He is asked about the field where the bodies were found: it is state property currently held under ground rent by a farmer who granted the local band club the right to use it to launch fireworks. 11.20am: An autopsy was performed later that same day: the accused's sister, Angele Bonnici, had two bullets inside her head and facial injuries, while his mother, Maria Lourdes, had entry and exit wounds on her head and facial injuries. This tallies with details of the murders - carried out with a firearm and large sledgehammer - given in last week's hearing. 11.15am: First to testify is a police sergeant from the Criminal Investigation Department. He says he was called to the Floriana police depot at 1am on March 30, after Bonnici admitted to the murder. He went to the field where the bodies were buried, and found the forensic team already at work, and the corpses close to a small room and by a rubble wall. The bodies were taken to a mortuary in a police hearse. 11.10am: The accused, Joseph Bonnici, has just been accompanied into the courtroom. He is smartly dressed, in contrast to the tracksuit he wore for his last appearance. Lawyers Franco Debono and Marion Camilleri are appearing for the accused. We are expecting to hear from a number of police officers involved in the case. The 38-year-old has admitted to murdering the two women on March 26 and burying their bodies in a field. At the last hearing on April 8, prosecutors said Mr Bonnici had planned the crime down to the very last detail, building his own makeshift gun and buying a pressure washer to clean up the mess. The court heard details of the gruesome murders and the accused's efforts to cover his tracks, before he admitted to his crimes under police interrogation. Investigators say Mr Bonnici had long harboured resentment against his two relatives, blaming his mother for having needled their father into killing two of their neighbours more than a decade ago and suspecting that his sister was plotting to have him sent to jail.